Room additions are an ideal way to add more space to a crowded home. Whether the need for a room addition is for a growing family, as an entertainment room, or to earn some extra income, room additions require guidelines to be aware of, building permits and approval of the city. 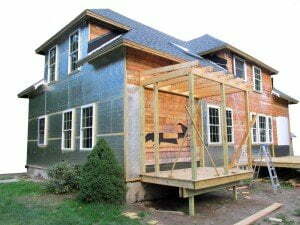 Lumina Builders Inc. general contractors do all of the leg work for our clients and customers. We ensure proper permits are required and zoning regulations are met. Utilizing the latest design techniques and software, our design experts bring exciting and inspiring room additions to life. Our design experts have a keen attention to detail that complements the ideas and personal taste of our customers. Our custom remodeling and design team has transformed many homes with fascinating room additions. A growing family needs more space, instead of moving into a new home, room additions are a much more affordable option. 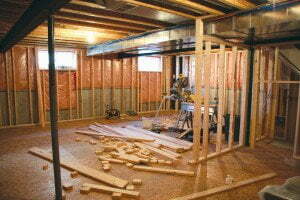 Lumina Builders Inc. provides everything needed to start the room addition process. Contact us for an in-home design consultation. If the roof on your house is moldy, missing pieces, or just plain ugly, a new roof will transform the look of the home. One of the top benefits of new roof installation is for safety. After all, families spend a great deal of time at home, under the roof. Old Damaged RoofOnce a roof starts to leak, it can cause damage to the inside of the home. Not only that, a damaged roof has the possibility of collapsing, injuring those in the home. Water damage of the roof causes homes to get moldy, making the home unsafe for breathing. There is no question, room additions transform the look of any home. The key is to choose a design, layout and the general contractors needed to create a long lasting room addition that brings out the best features of the home. Media room additions are perfect for families that love to entertain or like to keep the entertainment at home with the family. Whether you are adding a completely new room or transforming an existing room or garage, media room additions bring the family together. Consider the layout to include room for integrated wall speakers to turn the room into a theater-like sound experience. Ideas such as these become a reality with Lumina Builders Inc.
Make the most out of the space on your property with attached sun room or sun porch room additions. Enjoy the natural surroundings with a room enclosed with sliding glass doors for a view of nature. Sun room additions have become increasingly popular and are an attractive way to bring nature closer to home. Lumina Builders Inc. provides inspiring designs and layouts for room additions. We invite you to contact us to check out our inspiring gallery and discuss room addition ideas. 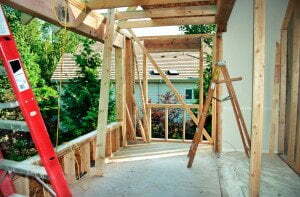 Premier design, engineering, construction, and remodeling service is our specialty. Contact us for a room addition estimate.